For the second time in two years, the Little Sisters of the Poor must ask the Supreme Court to protect them from the government. The order of Catholic nuns and other non-profits have been forced to ask the Court for relief due to the government’s refusal to exempt them from a regulation that makes them choose between their faith—which prohibits them from providing contraceptives—and continuing to pursue their religious mission of serving the elderly poor (see video). Reaching Souls International is an evangelical Christian ministry dedicated to preaching the gospel and caring for orphans in Africa, Cuba and India. Truett-McConnell College is a Baptist college that trains students to share their faith worldwide. Christian Brothers Services, Christian Brothers Employee Benefit Trust, and GuideStone Financial Resources are the ministries that provide healthcare coverage for the Little Sisters, Reaching Souls, and Truett-McConnell. All of the ministries are also represented by Locke Lord LLP, the 2014 recipient of Becket’s legal service award. 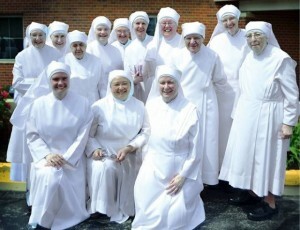 Kevin Walsh, a law professor at the University of Richmond Law School, also represents the Little Sisters of the Poor. The Court is likely to consider all of the petitions in late September or early October. If the petition is granted, the case would be argued and decided before the end of the Court’s term in June 2016. Does the Vatican contribute anything to the Beckett Fund?, is my question. objections as irrelevant,” said Rienzi of the Beckett Fund. In any case it will be a meeting of the hearts and minds.